Mosaic is a bulk, refillable dispensing solution designed for hospitality use. It provides an attractive and functional alternative to single-use amenity bottles, eliminating disposal and more than 99 percent of waste from single-use amenity bottles. Single use bottles are often considered because many bulk dispensers are difficult to refill or clean. 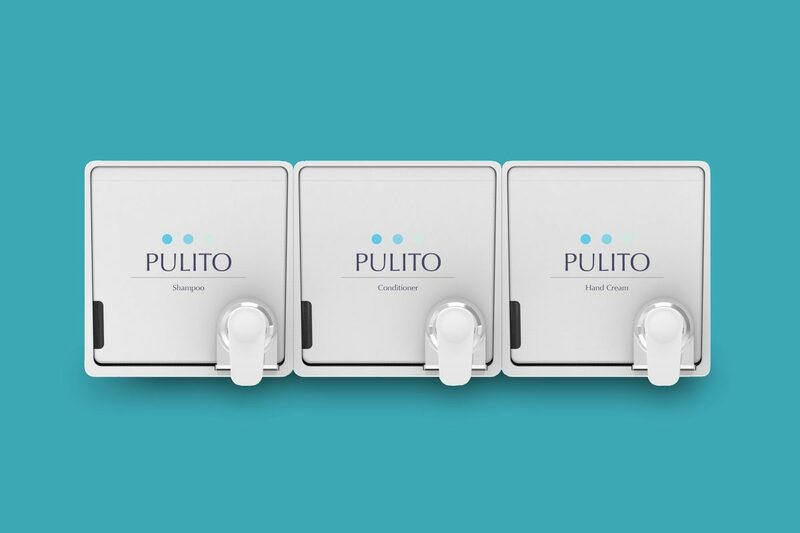 This patented system makes refilling much easier as the dispensers are more easily removed from the wall mount, with a tamper proof feature. Also a modular design allows for the use of extra vessels for pre-filling, quick replacement or exchange and improved inventory management. Mosaic’s refillable bulk system reduces both direct and indirect costs in delivering multiple, measureable economic benefits: Yields savings of up to 50% over individually packaged amenities / Reduces labour costs by decreasing housekeeping time / Dispensers are easily cleaned and typically refilled only once or twice a month / Dispenser design system allows for the use of extra vessels for pre-filling, quick replacement or exchange and improved inventory management / Reduces product loss due to theft.